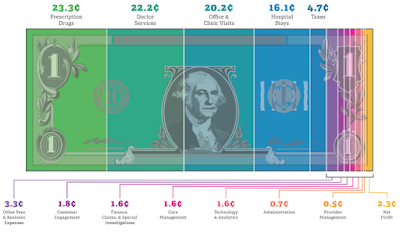 Some experts say co-pay accumulators drive down drug prices as patients seek cheaper drugs. But the programs also add value for people who are ill and dealing with health issues. Co-pay accumulator programs began appearing in 2016 in employer-provided private health plans and in Affordable Care Act marketplace plans. The programs change the way out-of-pocket costs are calculated if members use a manufacturer’s discount card or coupon to reduce prescription costs. 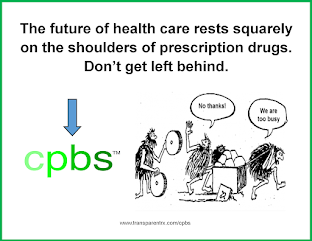 Members can download discount coupons or cards from a drug company’s website or get them from their doctors. They are used with their insurance; in some cases, members pay as little as $5 or $10 for their medication. But the total cost for the medicine counts toward your deductible, substantially lowering your out-of-pocket costs for future refills. If a plan has a co-pay accumulator adjustment program, members can use a co-pay assistance card or coupon. But the drug’s full cost won’t count against the deductible. And most assistance cards have a dollar limit on how much they will pay. 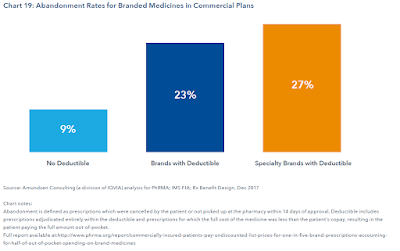 1) Plan sponsor Rx costs will decrease. As a result, medication adherence will also decline. 2) Expect higher hospital costs due to lower adherence of critical medications. 3) Members might become disconnected from their employer so look for low moral or higher absenteeism. I'm not suggesting that these programs are bad. What I am saying is that before implementing a co-pay accumulator program to evaluate the overall impact first or it could turn out to be a case of robbing Peter to pay Paul (see #2 and #3 in this list).